Each of the participants in the 2nd year anniversary weekend have now received their participation certificates. Activators should be on air from around 3.30 p.m. onwards. If you hear an activator out and about in a park, please give them a call. 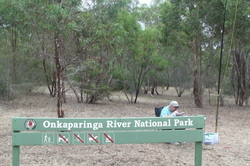 If you plan to activate a South Australian National Park or Conservation Park, please send me the details to that I can add it to a Master spreadsheet. That way, activators won't double up, and park hunters will be able to see what park is being activated and when. 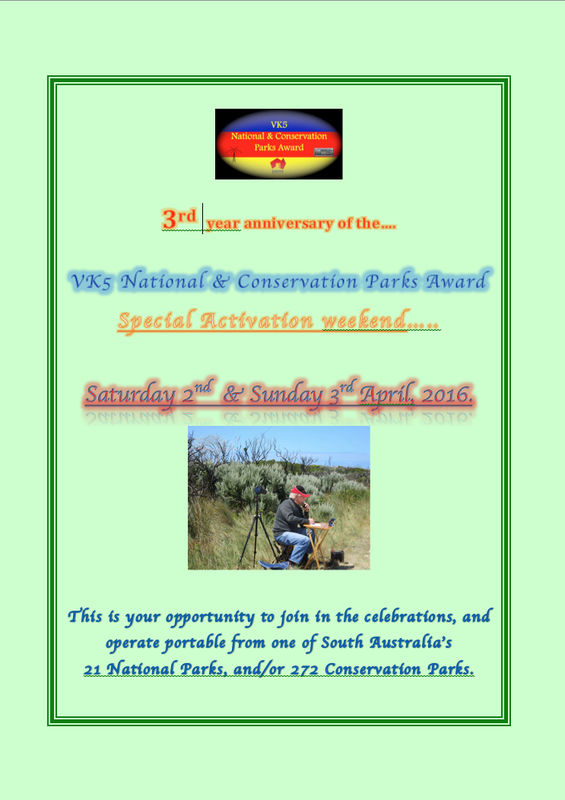 Please read the attached 'flyer' re the proposed SOTA/parks activation day on Sunday 1st June, 2014, to be hosted by John VK5BJE and Paul VK5PAS. Activations will be conducted at Mount Lofty summit within the Cleland Conservation Park, and also at the Belair National Park. 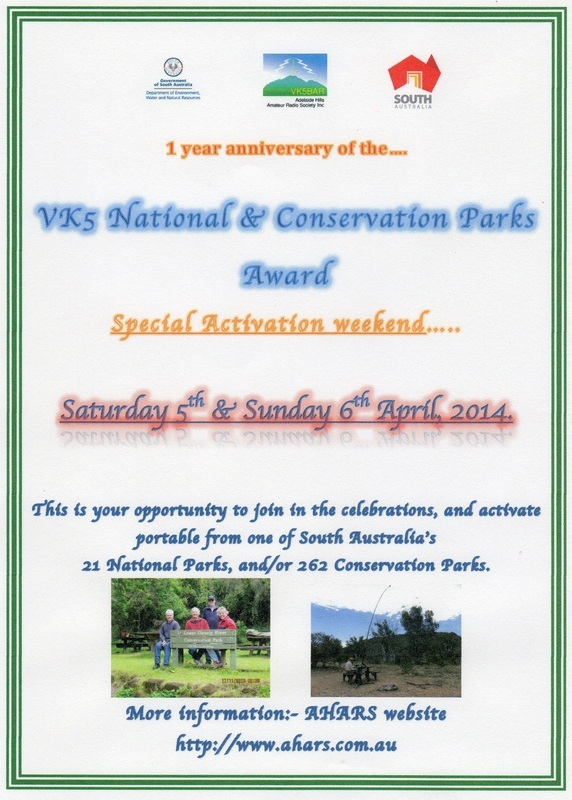 On Sunday 9th March, 2014, there will be a VK5 SOTA & Parks symposium, held at the Guides Hall/AHARS Shack at Blackwood. There will be a variety of guest speakers. Introduction commences at 9.00 a.m. Doors open at 8.30 a.m. Please see the 'flyer' below for full details. 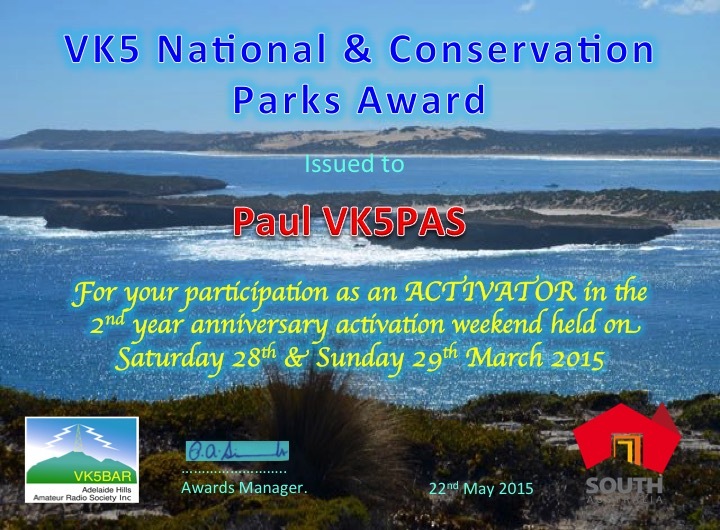 Please contact Paul VK5PAS, Mobile 0410 687 998, should you have any queries.